In partnership with the National Constitution Center and Penn's Office of Government Affairs, the Fels Institute of Government is proud to welcome Eric Liu, Founder and CEO of Citizen University for a special Constitution Day presentation on civic engagement and his new book: You're More Powerful than You Think. 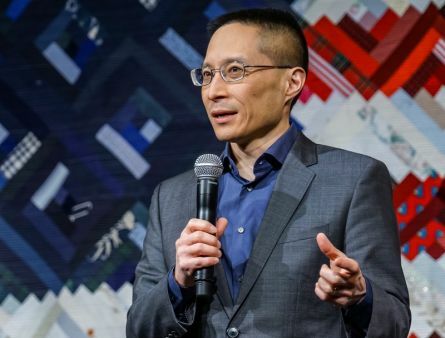 Eric Liu is the founder and CEO of Citizen University and executive director of the Aspen Institute Citizenship and American Identity Program. He is the author of several books, including "You're More Powerful Than You Think: A Citizen's Guide to Making Change Happen," "A Chinaman's Chance," "The Gardens of Democracy," and "The Accidental Asian." Eric served as a White House speechwriter and policy adviser for President Bill Clinton. He is a regular columnist for CNN.com and a correspondent for TheAtlantic.com.